Dr. Baubac Hayatdavoudi will be performing in person consultations in Las Vegas on Saturday July 29th. Open to both men and women with hair loss or thinning hair this is your chance to have a personal evaluation and one on one consultation with Award Winning Surgeon Dr. Baubac Hayatdavoudi. During the in person consultation Dr. Baubac will examine your scalp and will design a hair loss plan specific to your needs. You will also have the chance to discuss any questions you may have regarding hair restoration, hair loss, prevention, our FUE technique, hair loss medications, and shampoos and more. 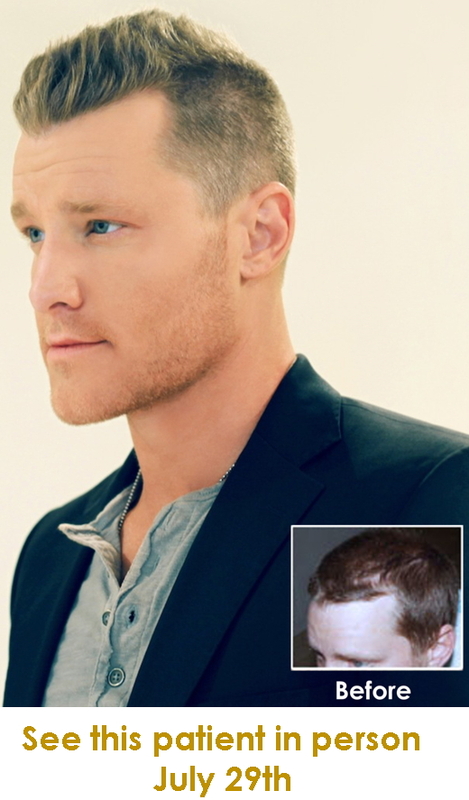 In addition, during your consultation you will also have the opportunity to meet the Dr. Baubac hair restoration patient pictured below and see this result in person. Your in person consultation will include a complete evaluation of your individual case including the graft amount recommended for your procedure and pricing. 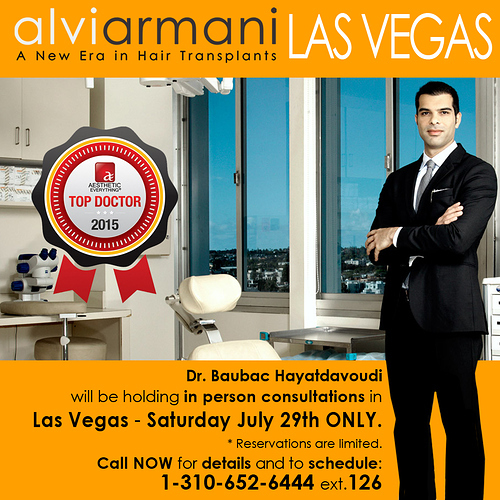 This is an opportunity to have all your personal questions answered directly by Dr. Baubac Hayatdavoudi and to see a live Dr. Baubac hair restoration result in person. Please call 1-310-652-6444 ext 126, or email rosalyn@alviarmani.com to schedule a consultation. No charge for the consultation. Call 1-310-652-6444 ext 126 to schedule and find out more information. We have about 3 more time slots available for this day. You will get to meet Dr. Baubac for a consultation and full evaluation as well as see a result in person.